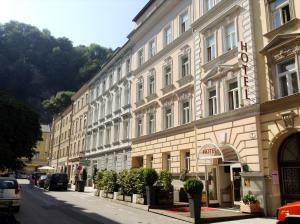 Detailed information about Hotel Wolf Dietrich on PensionHotel. You will find the hotel description, prices, location, number of beds, available services, attractions. The hotel can be booked directly through the contacts or use the booking form. 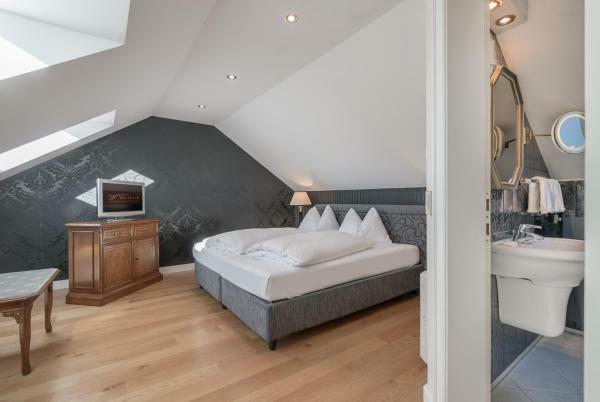 Before booking see availability Hotel Wolf Dietrich. A small, exclusive hotel with personal flair. 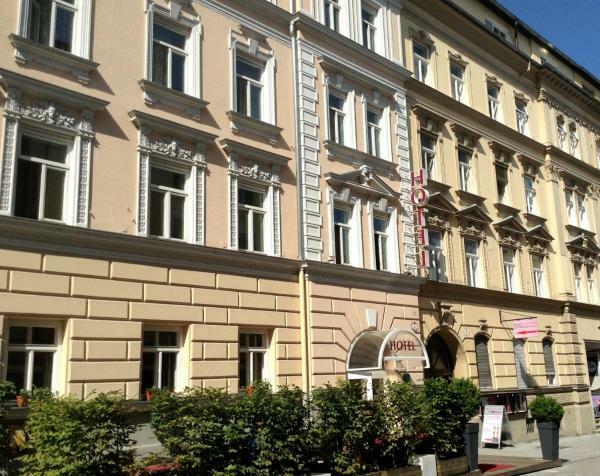 It consists of two buildings, Altstadthotel and the Residenz, located opposite each other in a quiet side street of the city’s pedestrian area. It is just a few minutes walk to Mirabell Palace and Mozart’s Residence. You can leave your car in the garage as all of the city’s sights are within walking distance. For example the cathedral or the fortress, Mozart’s birthplace and the new Congress Hall. The hotel’s team at the reception are happy to assist you in booking concert or theatre tickets. The internet terminal in the foyer is free of charge for hotel guests as well as the hire of DVDs. 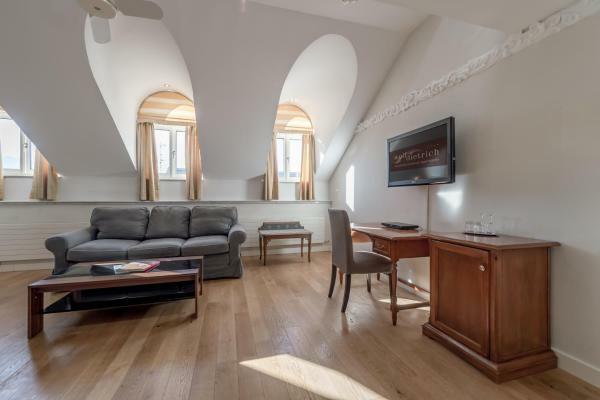 You can also relax in our tastefully decorated sitting room. 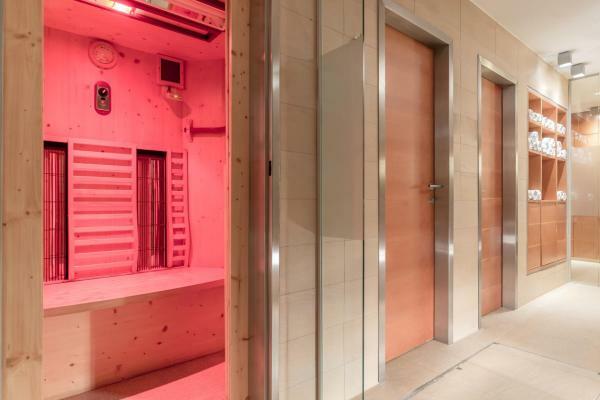 The spa, with it‘s warm colours and simple design, is ideal for relaxation. 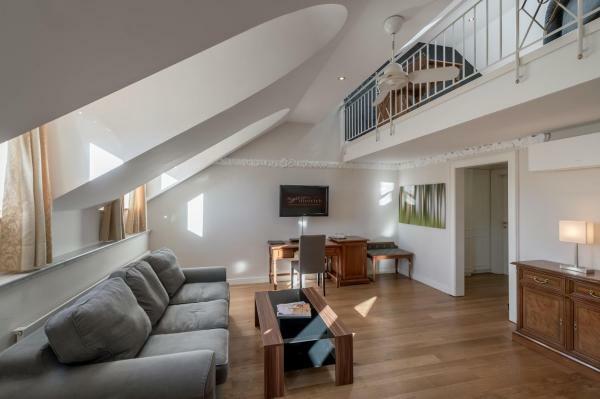 This compact leisure area comes complete with swimming pool, Finnish sauna, infra-red cubicle and an attractive 'silence' room with couches for relaxation after the sauna. We also suggest you take advantage of our massages. Please note that the hotel is not accessible for disabled guests. Guests are required to show a photo identification and credit card upon check-in. Please note that all Special Requests are subject to availability and additional charges may apply.